Abhishek Singhvi claimed that the book violated a person's privacy for monetary gain. The book was finally released in India in January 2015. The book was originally released in October 2010 in Spanish. 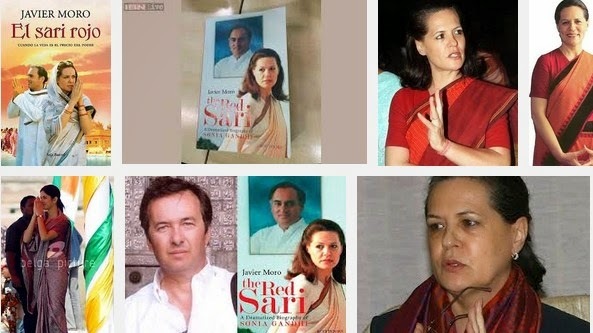 The book is a fictional novel allegedly based on Sonia Gandhi. Moro claimed that Congress lawyers and spokesperson Abhishek Singhvi had written to his publishers demanding them to withdraw the book from shops. Your book has been out in the Spanish-speaking world since 2008. What has been the reaction? The reaction has been great — it has been a huge success. 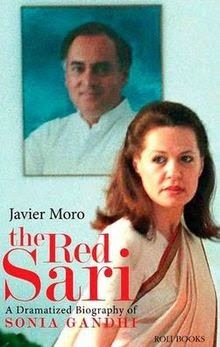 Sonia Gandhi is a fascinating character, rising from rural Italy to rule over a billion people. Those generating the controversy have not read the book. What sparked off your interest in Sonia Gandhi? I’m Dominique Lapierre’s nephew. He was a friend of Indira Gandhi, and used to visit her house every time he came to India. That sparked off my interest in India. The other interesting thing was the fact that Sonia was European. This was a very good vehicle to explore 60 years of the Gandhi family, in a book written primarily for European readers. Is your book a fictionalised biography or non-fiction?I wanted to write a biography of Sonia Gandhi, but I couldn’t get access to her or her family. I did not invent any characters. I’ve invented dialogue for necessary reasons, but whatever I’ve written should not surprise Indians. Why has the book generated controversy? Because I have desacralised Sonia, and spoken of her as a human being. There is a culture of sycophancy within the Congress party, and people are jostling to score points. Sonia’s lawyer Abhishek Manu Singhvi, has picked out instances in the book for the defamation case. That’s very easy to do. That’s what all lawyers do — take a line out of context and manipulate the meaning. There is no defamation in the book. You say it’s a fictionalised biography, but in the Spanish press, you had said that it was a work of non-fiction? I had told the Spanish media that it is a novel of non-fiction, a term used in Spain to differentiate between novels like the Lord of the Rings and novels based on a true story. To pick that line is to create a case out of nothing. The image of my book being burnt by the Youth Congress in European media resembles fascism. This is intolerance, and it’s dangerous. What drew you to the fictionalised biography format? That word has been used by Singhvi — I never said it was a fictionalised biography. In no edition has it been written that it is a fictionalised biography, because it is not just the story of Sonia. It starts with Motilal Nehru. It’s a 600-page book, but it’s told through the eyes of a westerner. One can’t understand Sonia Gandhi and the hard choices she had to make in life until you understand Nehru, Indira and Rajiv. When did you realise the English version was in trouble? The Congress says they sent you a notice in November 2009. Yes, that was the first one. We have been talking for six months, and I even accepted a disclaimer. Now they are saying this disclaimer is not in the book, which is a lie. My publishers sent me samples of the book, where the disclaimer is shown prominently. Singhvi is a manipulative man. What research did you do for the book? Any sources in the political establishment that gave you information?I was not looking for exclusive information. My sources were secondary — books, articles published in the Indian press, etc. The only sources I had were people who had befriended the Gandhis, and Sonia’s neighbours and friends in Italy. Do you plan to fight this till the very end? No, for me, India is a small market. I’m more interested in the rest of the world.